Headache, illustration. Inflamed and expanded blood vessels in the region around the brain (blue) can lead to the throbbing and sharp pains of a headache. 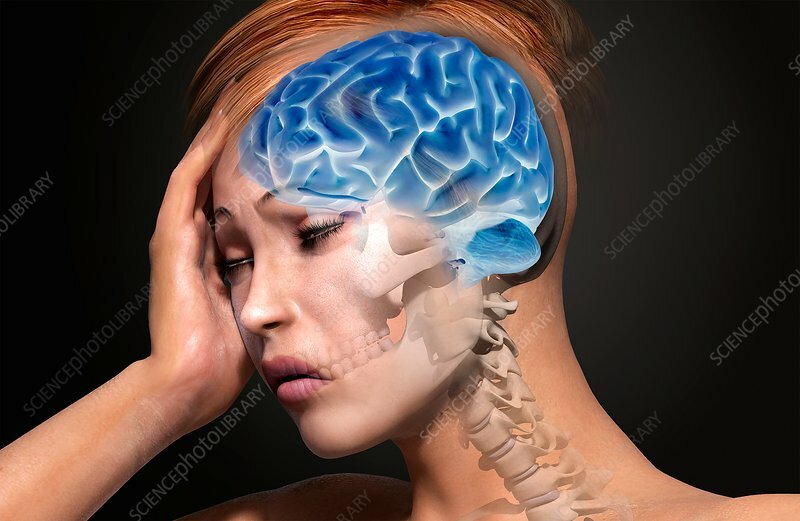 There can be a range of reasons for the underlying cause of the headache, but most are treatable with painkilling drugs.